Ruby Shadow Cat has made his mark in the Open with Jaime Snider and Gary Gonsalves, but in Arbuckle, the gelding (Metallic Cat x Ruby Tuesday DNA x Peppy San Badger) proved he could excel in several levels of cutting. Owner Mike Kemna first took Ruby Shadow Cat in the 5/6-Year-Old Non-Pro and had an impressive showing that earned a 221 from the judges and the Championship. A day later, Kemna built on his previous performance and laid down an impressive 227 on the gelding in the 5/6-Year-Old Unlimited Amateur to claim his second title at the event. Altogether, the pair garnered $11,690, which pushed Ruby Shadow Cat to more than $90,000 in lifetime earnings. Regan Plendl and Mr Metallic Rey (Metallic Cat x Rey Of Oak x Dual Rey) hit the ground running at the 2016 National Cutting Horse Association (NCHA) Futurity and advanced to both the Amateur and the Unlimited Amateur finals. The pair had some tough luck in both showings, but that didn’t discourage them from continuing with confidence at the Arbuckle Mountain Futurity. In the 4-Year-Old Non-Pro finals, the pair marked a stellar 224 to clinch the Championship. They kept the momentum going today during the 4-Year-Old Unlimited Amateur finals and topped their previous score after earning a 225. 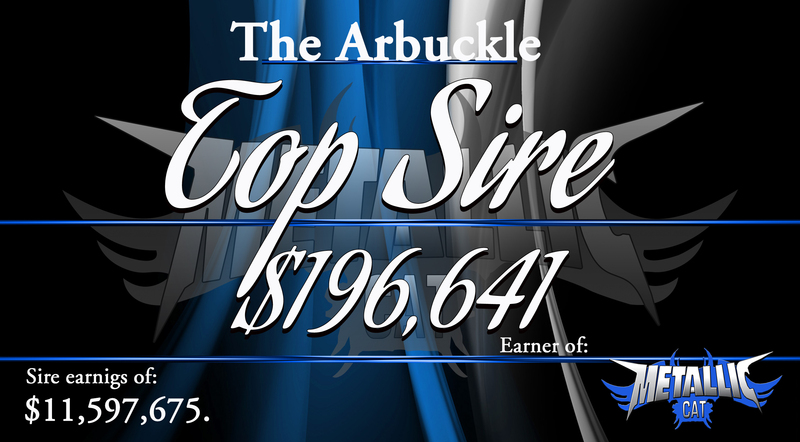 Those top marks allowed them to grasp their second title in Arbuckle. In total they collected $16,561 for the their wins, which pushed Plendl’s homebred gelding to an Equi-Stat record of $22,490. Plendl now boasts lifetime earnings of more than $125,981.